The great triple henge alignment at Thornborough, North Yorkshire, needs little introduction. 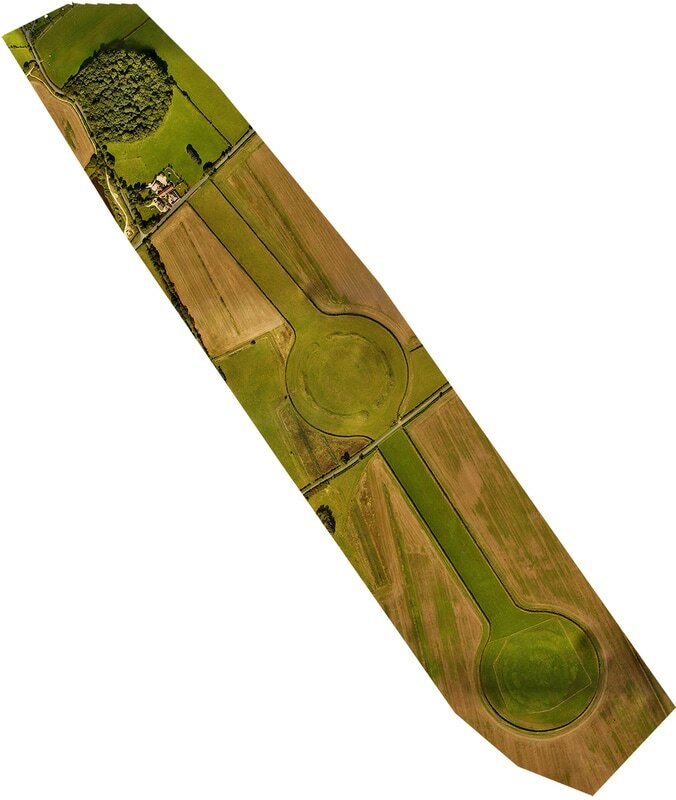 The Thornborough Henges therefore represent the terminus of a 4500 year old sacred way of unknown purpose, but illustrating the sophistication of a Bronze age religious and social structure that could conceive and order the construction of such monuments. The henges are aligned to the constellation of Orion: the significance of this is unknown, but is a common alignment in the ancient world. 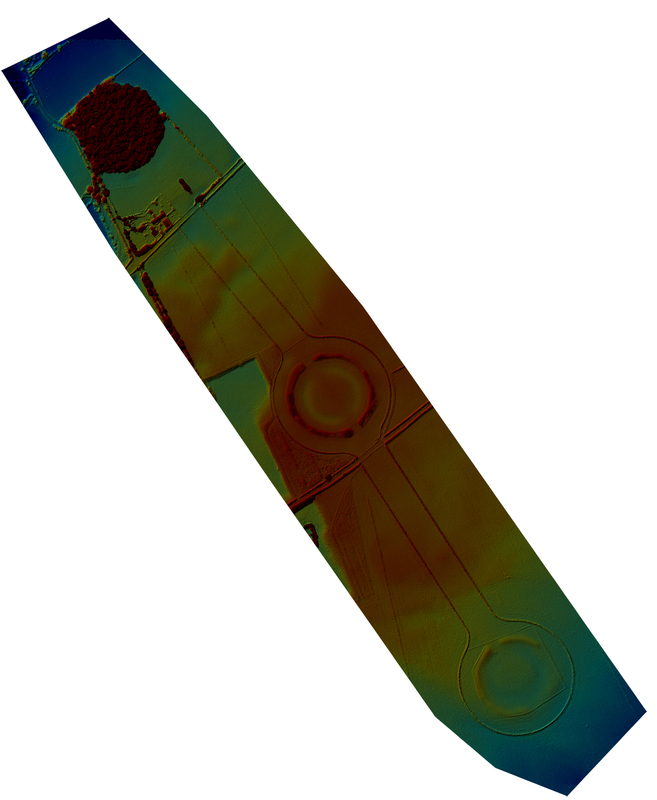 Like many other ancient sites there is evidence in the elevation mapping shot here that the henges were constructed over banked alignments predating the bronze age henges. These banks, or Cursus can clearly be seen crossing the henge alignments at right angles between the North and center henges, and again between the central and southern henge. The purpose of these Cursus are as mysterious, if not more so, than the purpose of the henges themselves. The fields surrounding the Thornborough henges are covered with bronze age burial mounds, illustrating a desire by supposed Head Men to be buried within sight of these mysterious constructions. The modern quarrying activities have caused great consternation locally and nationally with there being little consideration for the preservation of such remarkable monuments.